Long weekends, are for sleep cleaning your make-up brushes and sponges. I know life can be difficult at times and usually, it means not having enough time for yourself. 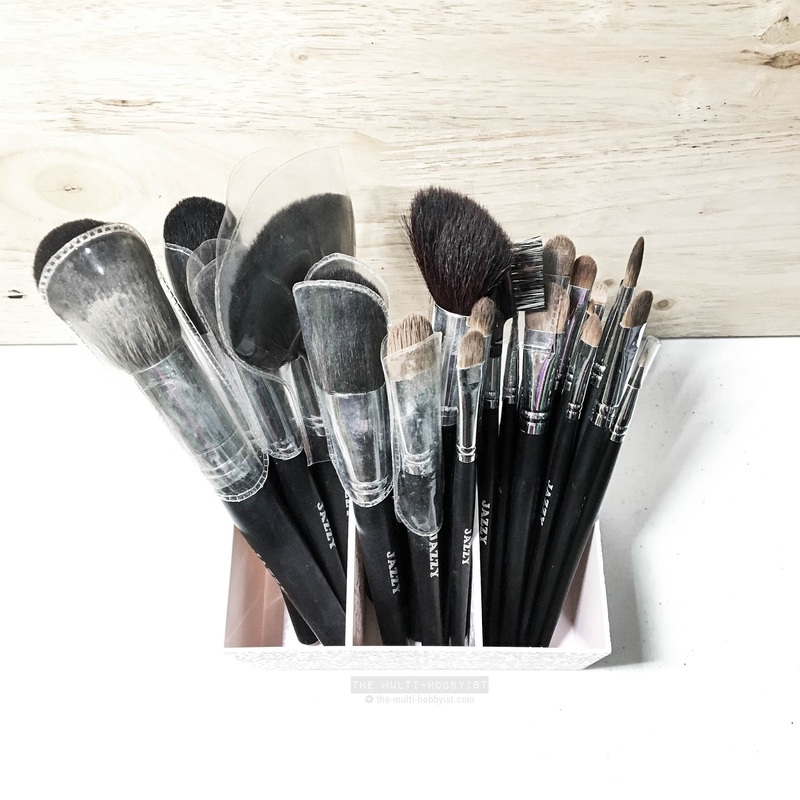 And because of that, we sometimes forget the little, but semi-important things, like for example: cleaning out your closet, decluttering, throwing out expired medicine and cosmetics/skin care products and of course, cleaning your make-up brushes and sponges. 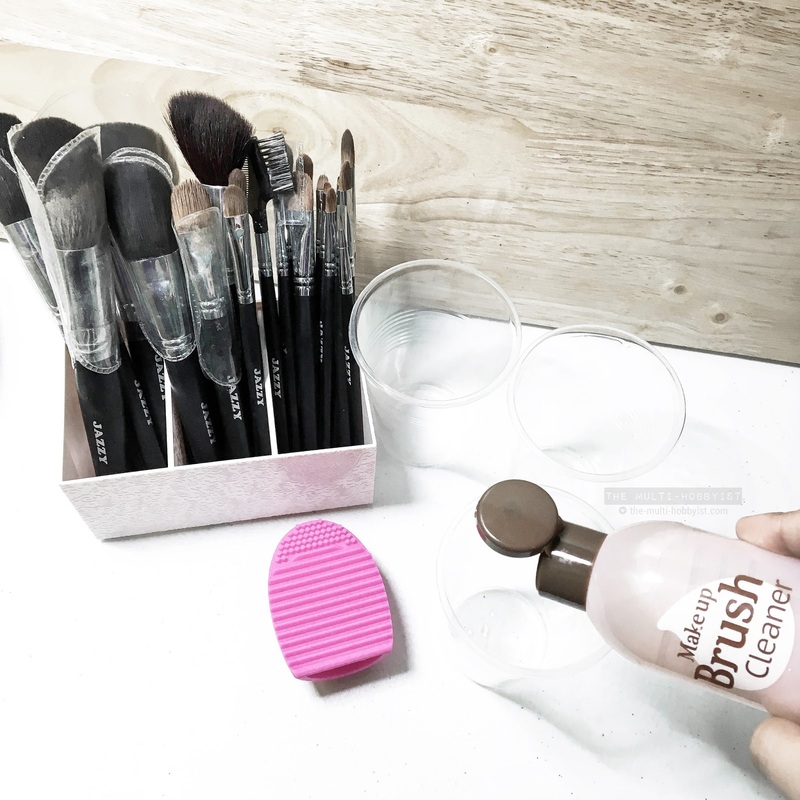 Make it a habit to clean your makeup brushes at least a week, if you use it daily. Or every two weeks if you don't use it as much. 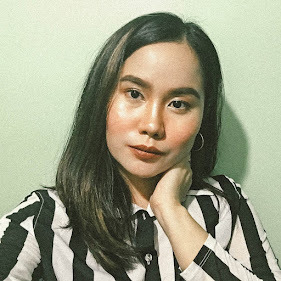 Because recently, news about a woman's near-death experience due to dirty makeup brushes went viral. 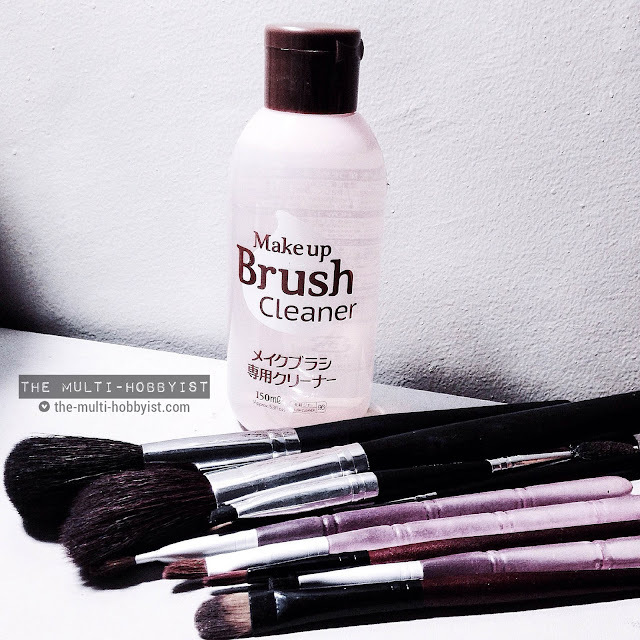 And as a semi-germophobe, I'm all for clean and fresh makeup brushes! So continue reading to know how I clean mine. 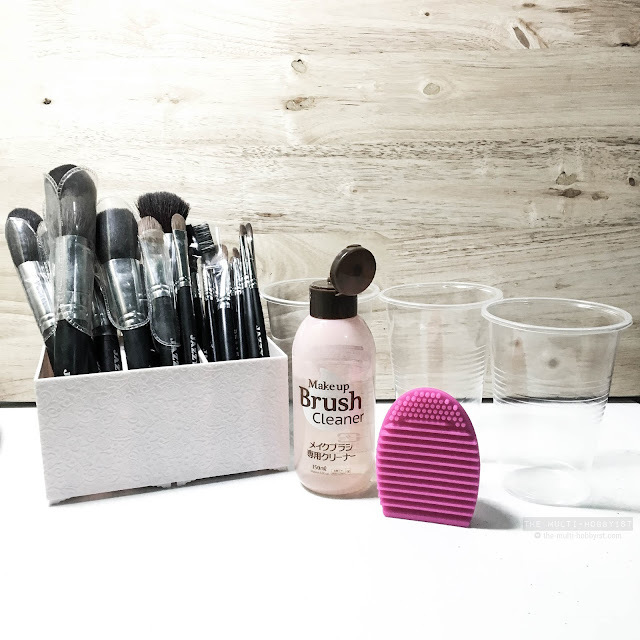 First off, here are the things you will need (apart from your makeup brushes, of course. 1.) 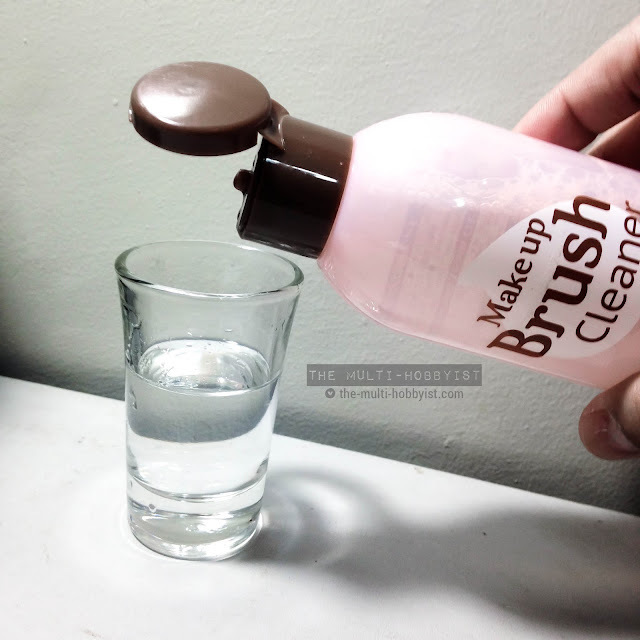 A make-up brush cleaning solution. 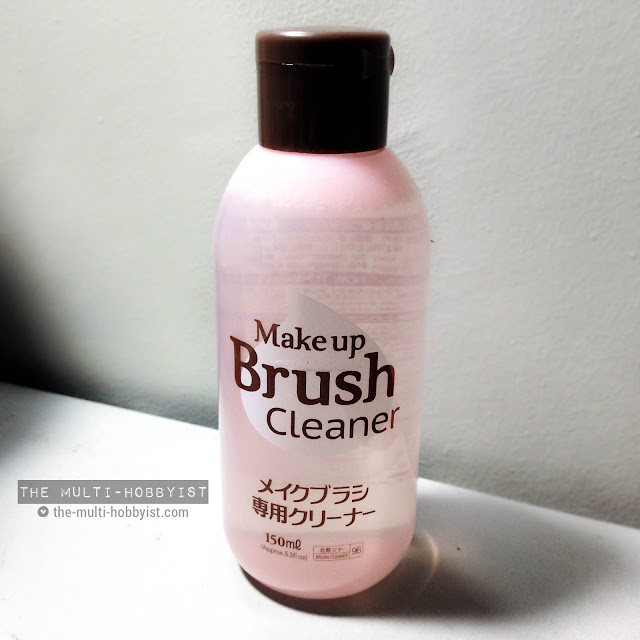 My personal favorite is Daiso Japan PH's make-up brush cleaner. 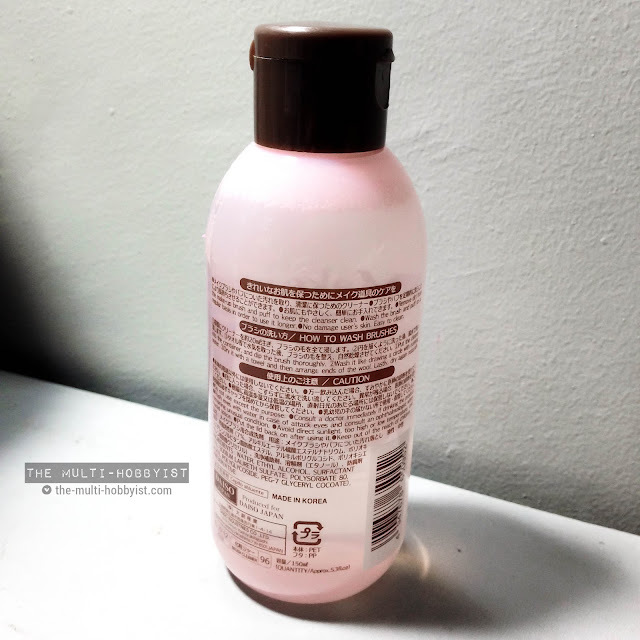 It's really cheap at only 88 pesos for 150mL, and a little truly goes a long way. I actually even mix it with a little bit of water so it's not so foamy. Naturebelle's Brushegg is the most popular cleaning tool. However, the original one costs Php 300 and above. While there are fake ones that cost from Php 35 up to Php 100, you wouldn't want to support them fakes, right? Right. But thank God for Daiso, they have it for only Php 88! Although it is marketed as a laundry board, it is really the same as the Brushegg. And for only less than a hundred bucks! 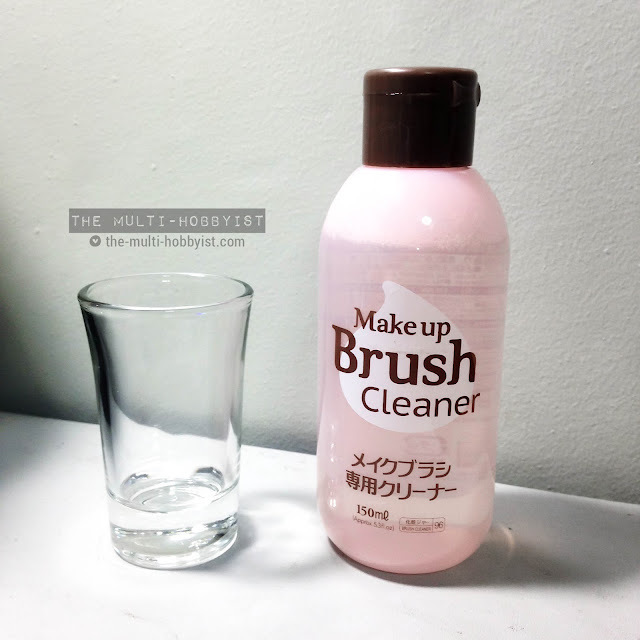 Tip: To find out if the nearest branch of Daiso has this in store, approach staff or send them a message on their Facebook page (they are very accommodating!) 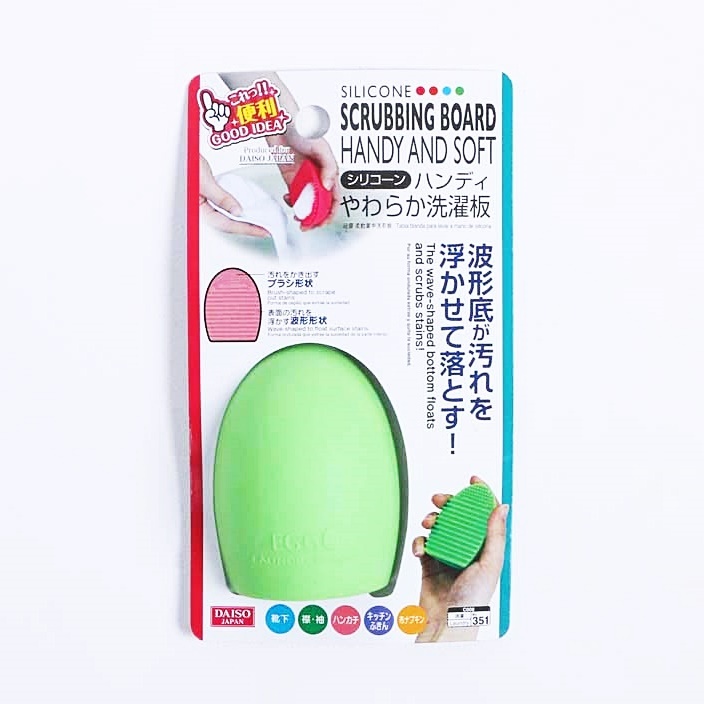 And then, tell them you are looking for the Silicone Scrubbing Board with UPC code: 4979909914236. The staff will be more than happy to assist you. 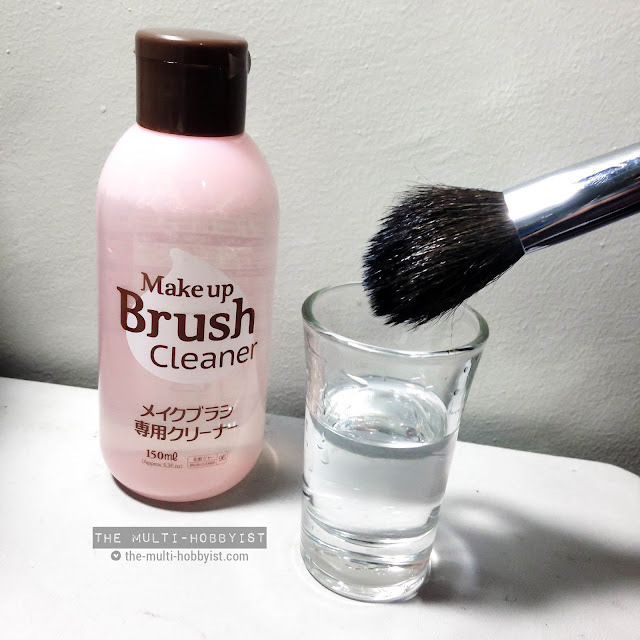 So going back, just in case you currently do not have a make-up brush cleaning tool, you can use an old Tequila shot glass. FYI--I love tequila. But due to acid reflux, I was advised to limit drinking. So what better way to do so than make use of the shot glass, right? LOL! You can also use plastic cups. 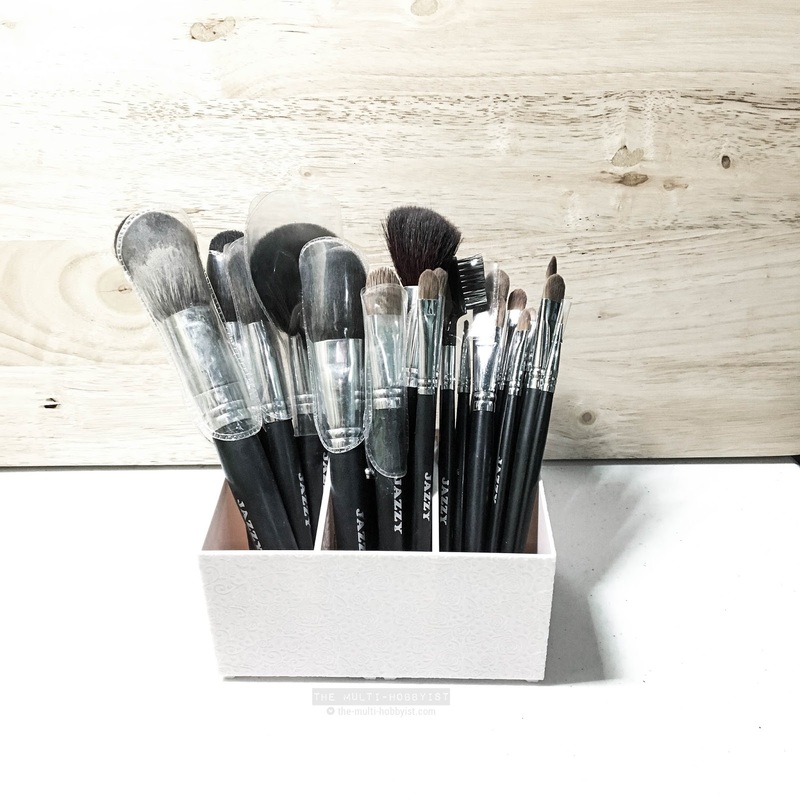 Use it as your makeup brush holder. The first cup for the dirty ones and the second cup is for the brushes that are already clean. So now, we're ready to clean these make-up brushes! 1. 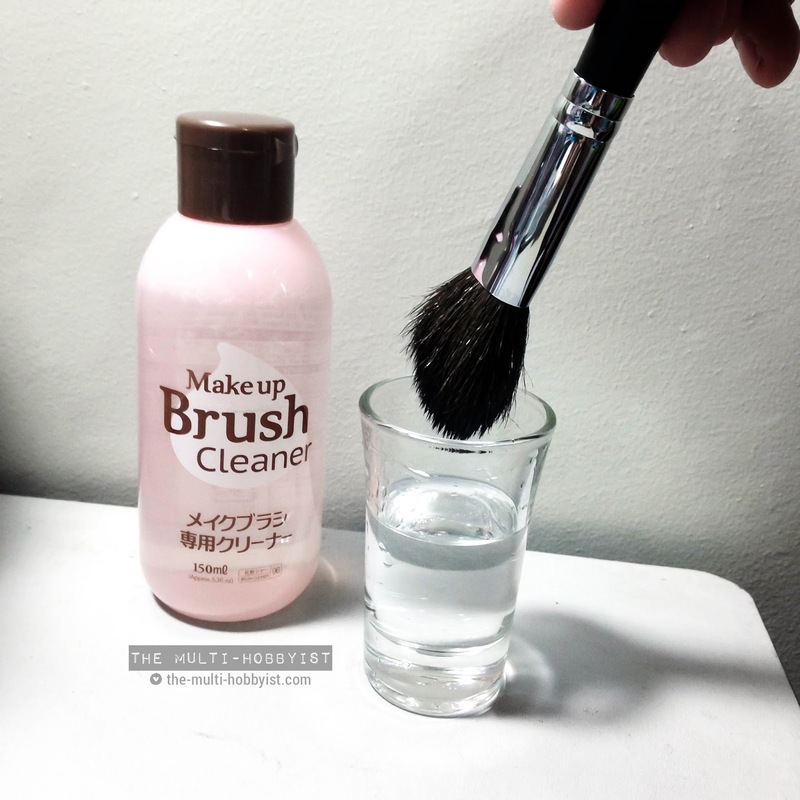 First, fill half the shot glass with the makeup brush cleaner. I add a little water so that the solution isn't too foamy. 2. One by one, dip the bristles into the solution. Avoid dipping your brush into the solution so much. 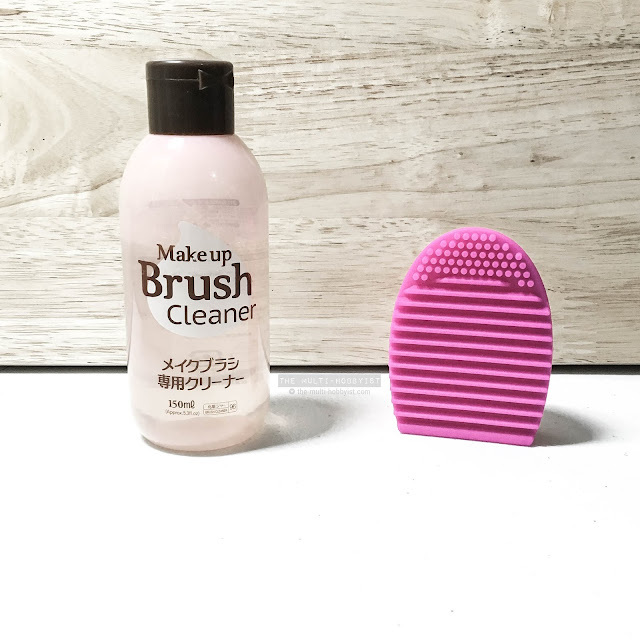 This is to prevent breakage of the brush's wooden handle. 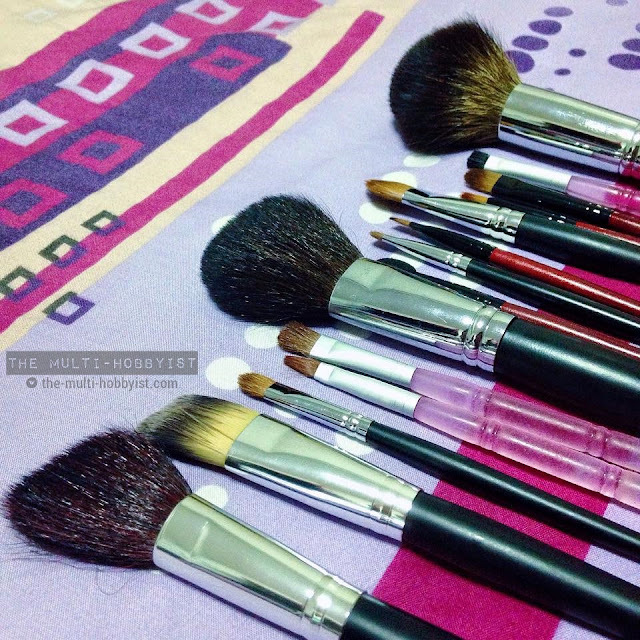 Some brushes, especially cheap ones are prone to breakage. 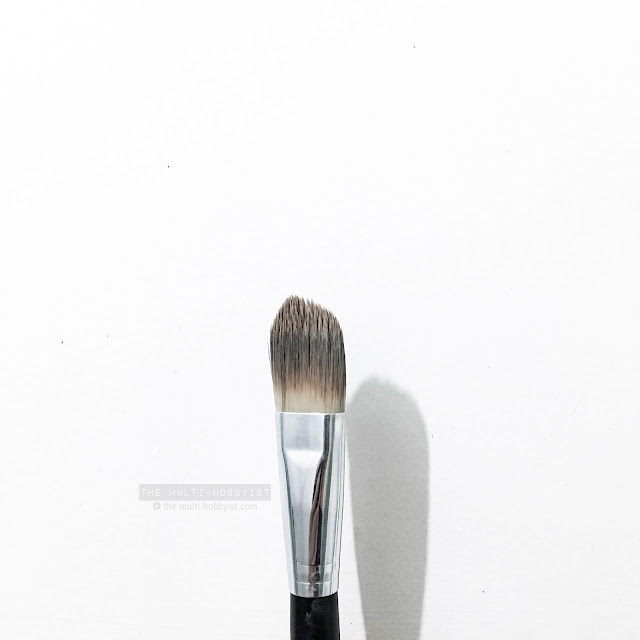 So in order to prolong the life of your brushes, take extra care in cleaning. 3. 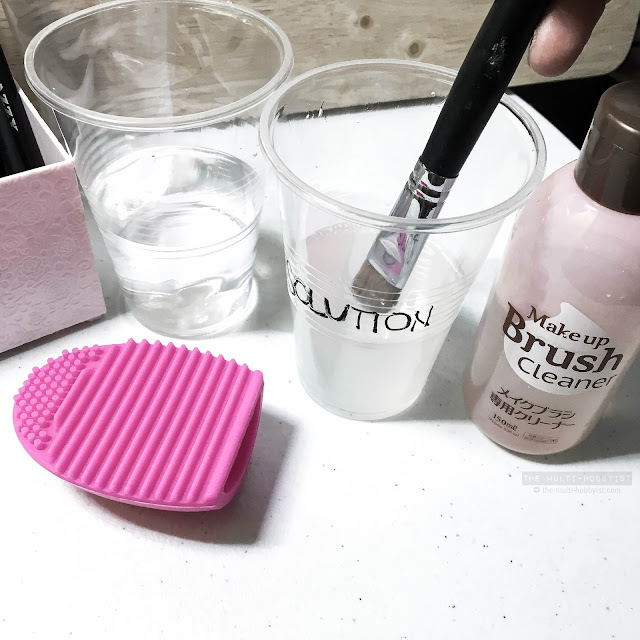 Use your makeup brush cleaning tool! Tip: scrub your brush into the tool until there is no product left to ensure cleanliness. 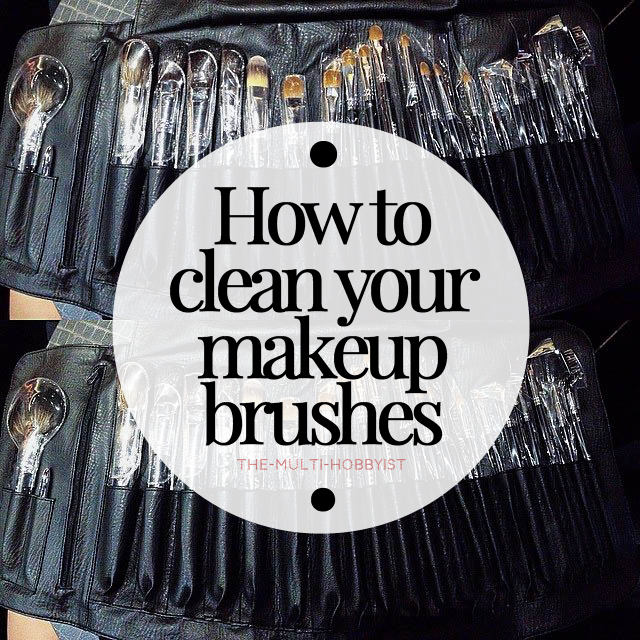 Repeat the process until all your brushes are cleaned. And voila~! You're done cleaning your makeup brushes! 4. Next is to let the brushes dry. After rinsing the brushes thoroughly, I immediately lay them in kitchen towels or old and unused, but clean eco bag (non-woven material). This is to remove excess water. After I'm done cleaning all of them, that's when I put them in a plastic cup to air dry. 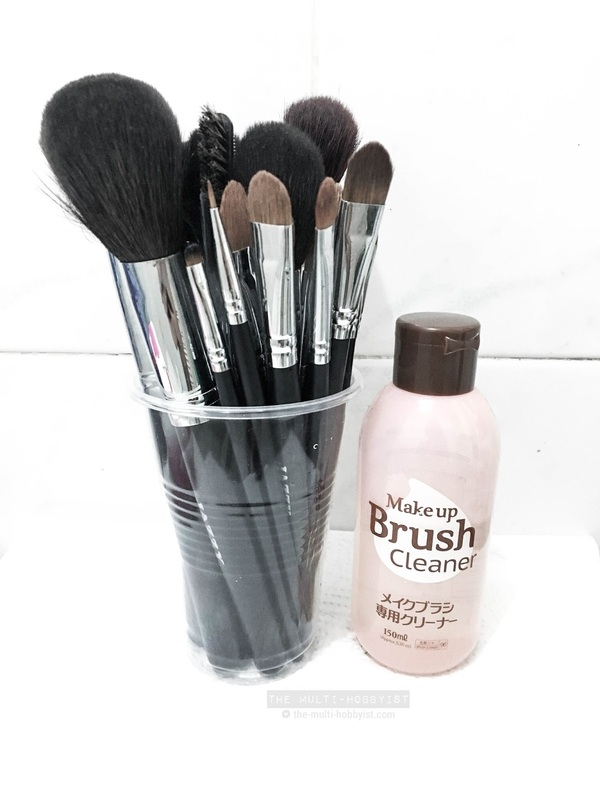 How about you, how do you clean your brushes?